This lunch box is a great on the go box. 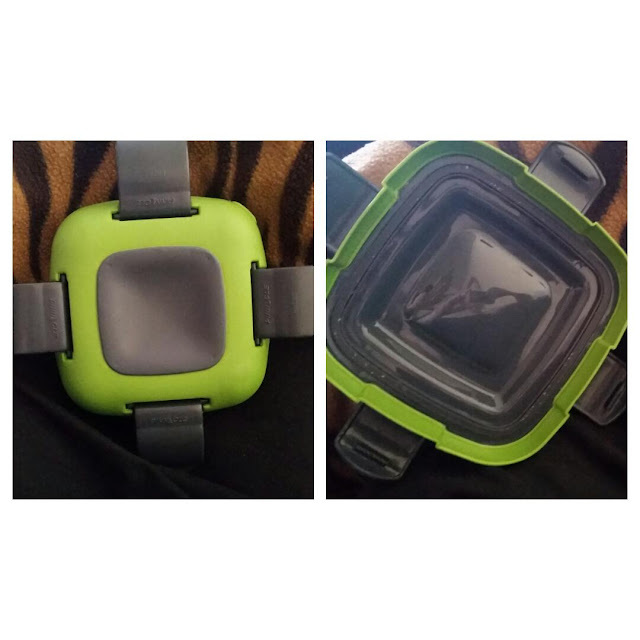 It has four closures that helps keep an even snug seal. Yet they are still easy to open. This makes it good for all ages to be able to use. It stored out fruit and kept it cool and crisp all day till we got our snack. It helps to cool the bowl before putting the food in. This helps it maintain the cool temperature longer. This goes the same for hot things. Run under hot water and heat the bowl before putting your food in. I recieved mine free in exchange for my honest and unbiased review.